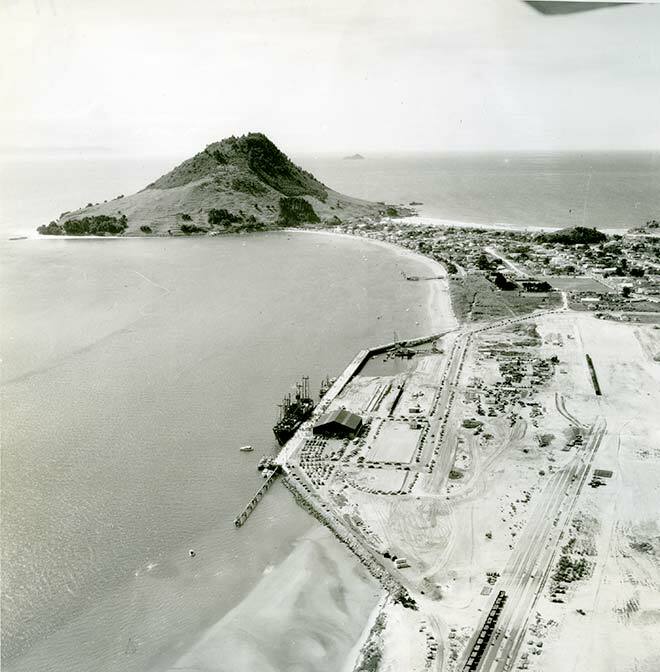 The Port of Tauranga, at Mt Maunganui, is shown here on its opening day in 1955. The government built this new deep-water port on Māori land compulsorily acquired under the Public Works Act. It later sold the surplus land at much higher prices than the Māori owners had received. Grievances such as this have resulted in many claims to the Waitangi Tribunal.